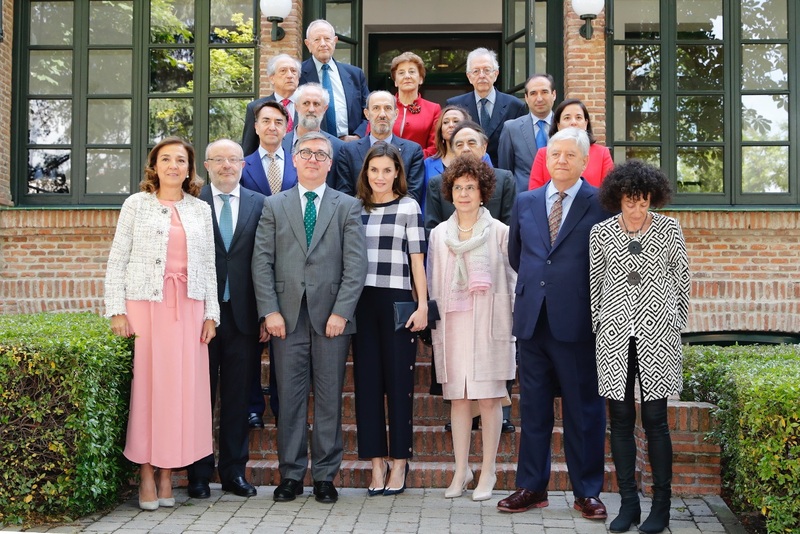 Today Her Majesty Queen Letizia presided over the annual meeting of the highest governing body of Residence of Students in Madrid. The Residence of Students was the first cultural center founded in Spain. The Student Residence, who’s Honorary Presidency is held by His Majesty the King, was founded in 1910 by the Board for the Extension of Scientific Studies and Research. 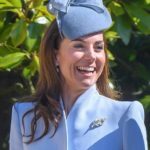 Currently it has the status of a private foundation, which was created on December 14, 1989 by the Higher Council for Scientific Research (CSIC). The Residence was founded to provide accommodation for students along the lines of classic colleges at Bolonia, Salamanca, Cambridge or Oxford. It became established as a cultural institution that helped foster and create the intellectual environment of Spain’s brightest young thinkers, writers, and artists. The Residence organizes numerous public events, such as conferences, round tables, concerts, readings of poems, meetings or exhibitions. In addition, about 3,000 researchers, artists and other professionals from the most diverse fields, from all over the world, live in the Residence each year. In 2015, the Residencia de Estudiantes was awarded the European Union’s European Heritage Label due to the significant role it has played in the history and culture of Europe. The agenda of today’s meeting was to welcome new patrons. The minutes of the previous meeting were read and approved; the activity and economic report was approved, the balance sheet as of December 31, 2017, the destination of the income obtained to comply with the foundational purposes and the report on compliance with the code of conduct on temporary investments were discussed along with the action plan for the year 2019. 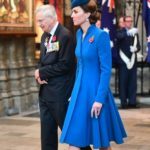 Upon arrival Queen was received by the Secretary of State Education and Director of the students Residence. 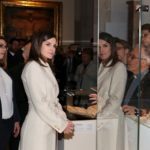 Contrary to her last year’s look containing a pretty floral dress Queen Letizia chose a different look this time. 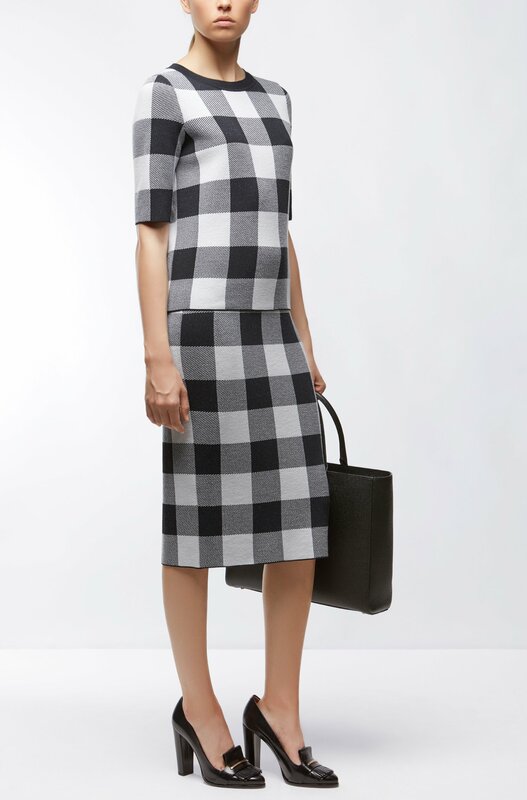 Letizia wore a Gingham Wool Blend Knit top from HugoBoss. 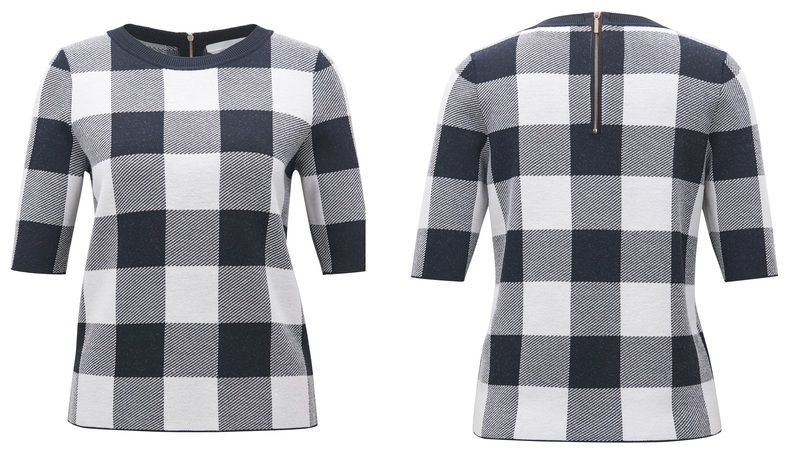 The black and white ‘Flroiza’ checkered knit top features crew neckline with elbow-length sleeves and comes with a matching skirt. The top is available online for $169.99. Letizia paired the top with Hugo Boss wide High-Waist Wide-Leg Navy Pants. 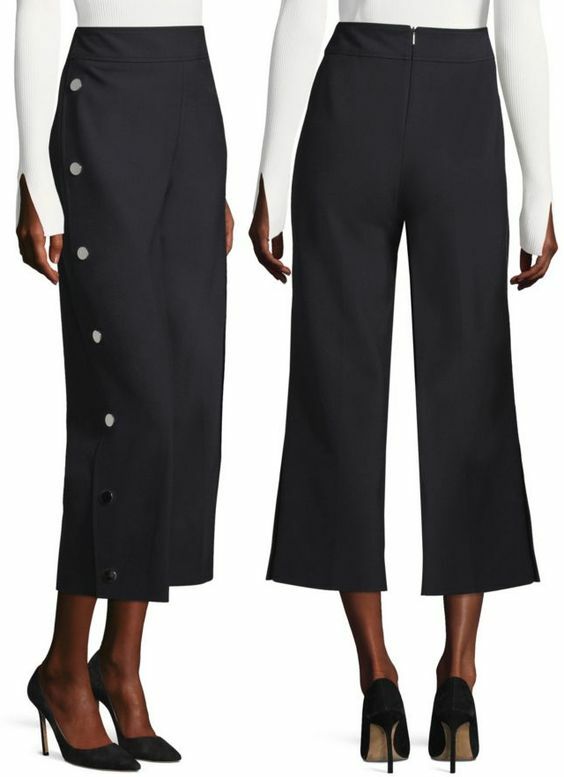 The Fashion-forward wide-leg pants features side button detailing with Banded waist. Its available at Saks Ffith Avenue in few sizes. 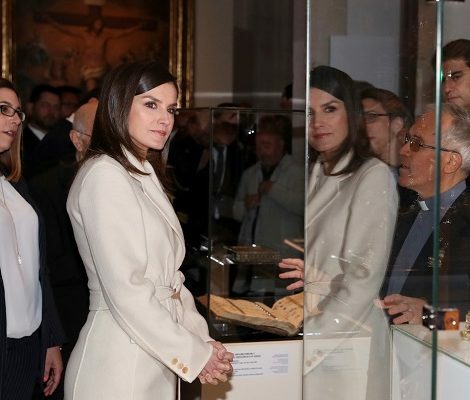 Letizia premiered another pair of pumps today. A blue and white Navy leather pumps from Magrit was suitable match with wide leg pants. 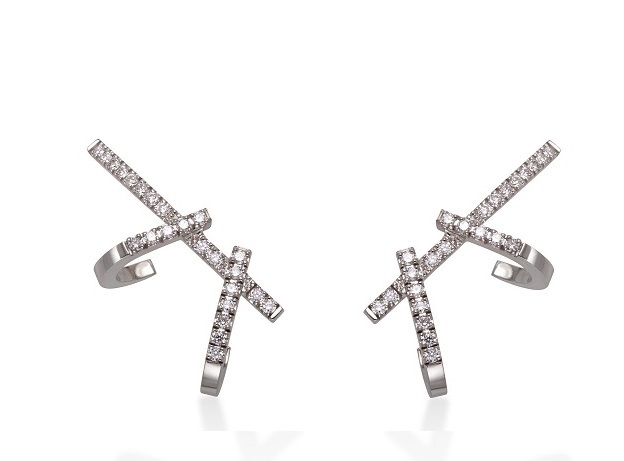 Her Double Dagger earrings from Gold & Roses finish the look. 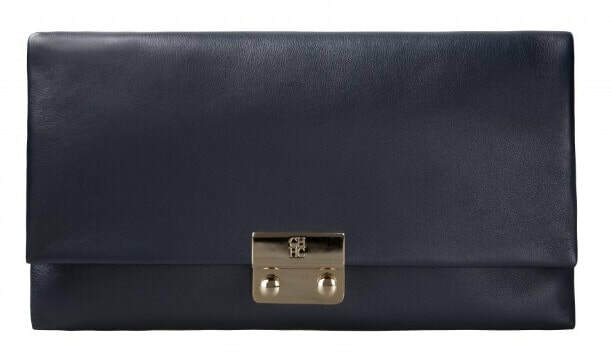 Queen carried Carolina Herrera blue clutch. 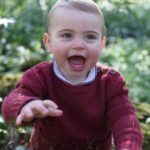 Next week will see Felipe and Letizia in United States when they will undertake an official visit to States on 15th of June.